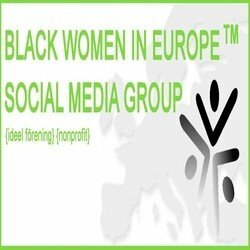 a) Challenging the negative representations of all People of African Descent (PAD) and Black Europeans (BE) in general and Afro-Swedes (AS) residing in Sweden in particular across all forms of media, institutions and the community at large. b) Building opinion by formulating positive and alternative narratives and debunking myths on PAD, BE and AS both at national and international level. c) Empowering PAD, BE and AS through education and representation in public and private spaces. d) Influencing politics and policy at local, national and international level with the main objective of creating equal access to education, justice, housing, health services and socio-economic and political conditions. Afrosvenskarnas Forum för Rättvisa (AFR), har som målsättning att bli en ledande nationell och internationell aktör som med kompetens och trovärdighet driver frågor som berör arbete mot rasism, diskriminering och mer specifikt afrofobi. ENAR is the only pan-European anti-racism network that combines advocacy for racial equality and facilitating cooperation among civil society anti-racism actors in Europe. The organisation was set up in 1998 by grassroots activists on a mission to achieve legal changes at European level and make decisive progress towards racial equality in all EU Member States. Since then, ENAR has grown and achieved a great deal.